Hello, and a very warm welcome to our website. Please do spend time reading through our pages and getting to know what we have to offer. If you have any questions, please do contact us — we will reply as quickly as possible. We are a small independent school, conveniently situated in Baker Street, central London. Since the founding of the School in 1954 we have only had two Heads of Education – the late Mrs Ray Cochrane till 1986 and myself, Miss Baljeet Suri. I take great pride in continuing the excellence and high standards established by Mrs Cochrane. 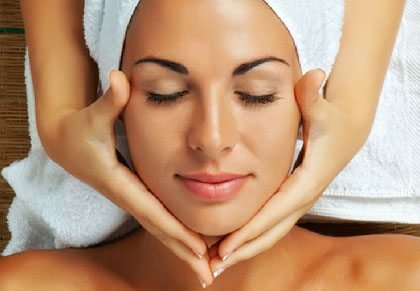 The beauty therapy industry is a thriving and expanding vocation. I would encourage you, whatever age you are, to seriously consider becoming part of this profession. The rewards are not only financial – all our graduates find employment – but the job satisfaction you get and the increasing self esteem you experience are seldom found in other professions. This is a very “hands on” occupation in which your confidence and expertise is conveyed across to your client – to the greater fulfilment of both of you. And how can we help you in this? Because of the size we are (think petite) we can offer you a level of tuition and support that larger institutions cannot. Our classes are deliberately small so that our tutors can spend more time with you. Our system of weekly assessments ensures that you are up to date with the course material. We encourage after hours learning. In fact, we do everything we can to ensure (almost guarantee) that you leave us as a motivated and highly qualified beauty therapist. There are two examining bodies listed on our web site — CIDESCO and CIBTAC . We only teach these qualifications as we, like the Beauty Therapy Industry, consider them to be the highest form of beauty therapy training one can take. There are, indeed, other diplomas available in the UK, but we choose to restrict ourselves to where we can deliver the best to and for you. Personally, I would always recommend a full time course. This is a concentrated effort that results in a qualification that is your immediate passport to a fulfilling and enjoyable career. However, I do appreciate that you may have time constraints or financial limitations or not want the full diploma. We can certainly help here. You can join our classes on a part time basis for any of the modules that you wish to study for – building up your qualification at your own pace. Finally, let me tell you a little about myself. I am both a CIDESCO and CIBTAC diploma holder. I have been a full time student and know at first hand how demanding and absorbing the course can be. With the benefit of this experience, I have designed the course to be delivered in such a way as to make it manageable and enjoyable for any student and from any background to cope. I also have qualifications in aromatherapy, make up, teaching and other complementary therapies. Cidesco invited me to become an international examiner in 1982. Since that year this responsibility has taken me to many schools abroad where I have learnt and experienced different educational styles and methods Where appropriate, I have developed and incorporated these into our school delivery – resulting in our highly trained and confident beauty therapy graduates. I was honoured to be elected vice president of Cidesco International from 1996 to 2004; and am now an Honorary Member of that organisation. This has given the school invaluable national and international exposure, which works to the benefit of our students. I have been with the Ray Cochrane Beauty School since 1981 and consider myself privileged to have known and worked with Mrs Ray Cochrane. The reputation of the school and the quality of our students is of paramount importance to me. If there is anything at all you need to know, please contact me below.